It’s officially cold and flu season! (Boo!!!) And while there are vaccinations to help prevent the flu, there are no vaccinations against Rhinovirus aka the cold. However, you can take some over the counter supplements that may help support a healthy immune system. 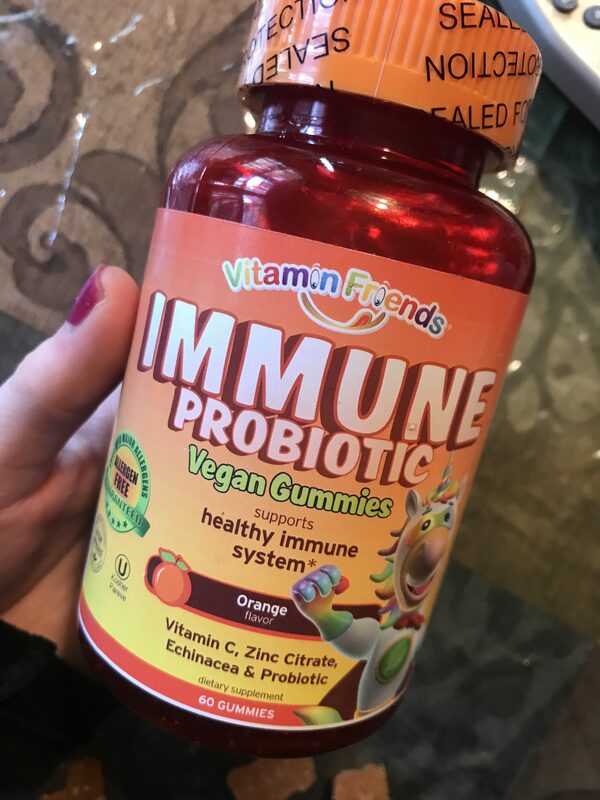 Vitamin Friends has a immune system support probiotic gummy that has Vitamin C, Zinc, Echinacea and a probiotic…and it’s vegan too! 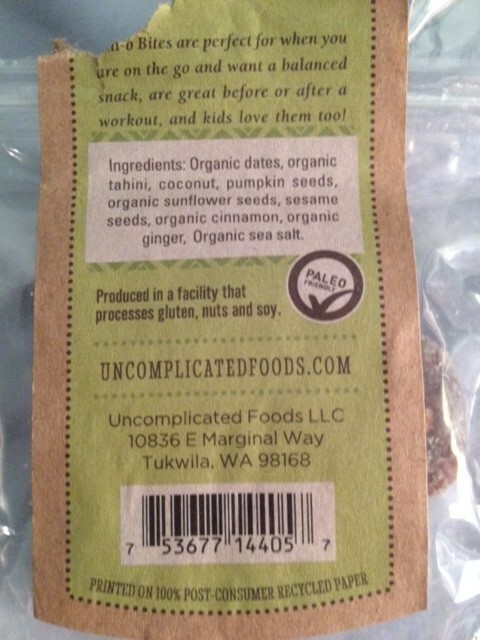 These gummies are vegan, glute, free, egg free, crustacean free, fish free, peanut free, nut free, milk free and soy free…aka allergen free! They are made in California, USA, and are also Kosher. But how does it taste? Can I get my child to eat this? 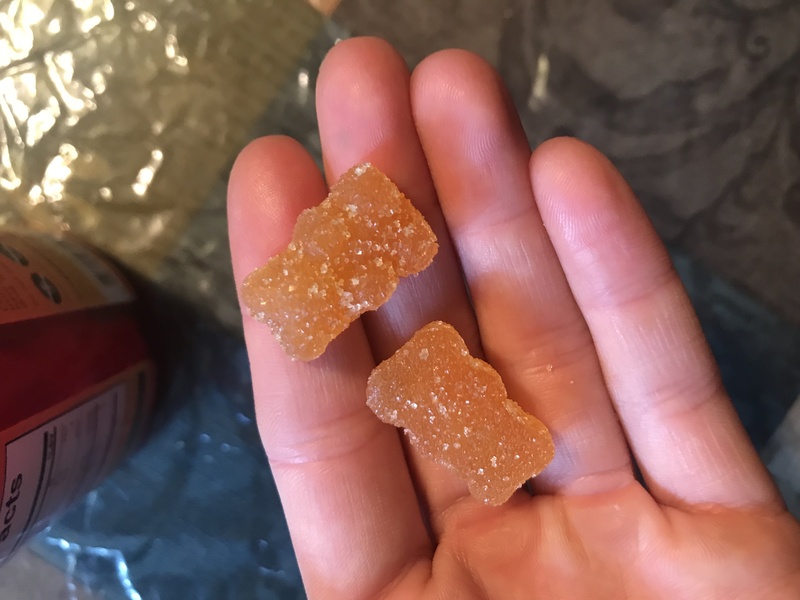 I was sent an orange flavor to try…I do not think you will have any worries getting your child to eat these because they are yummy! A tangy, slightly tart orange-clementine line flavor. 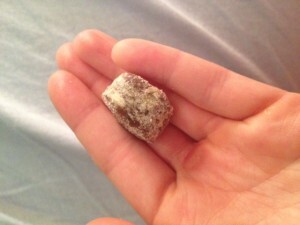 The gummies are soft and easy to chew, and covered with a sugar-like coating. I’ve been eating them for about a month (2 per day), and have had no issues with going to the bathroom and *so far*, I have not gotten sick (KNOCK ON WOOD!) I do believe that supplementation can play a role in supporting a healthy immune system, especially if you are deficient in vitamins. 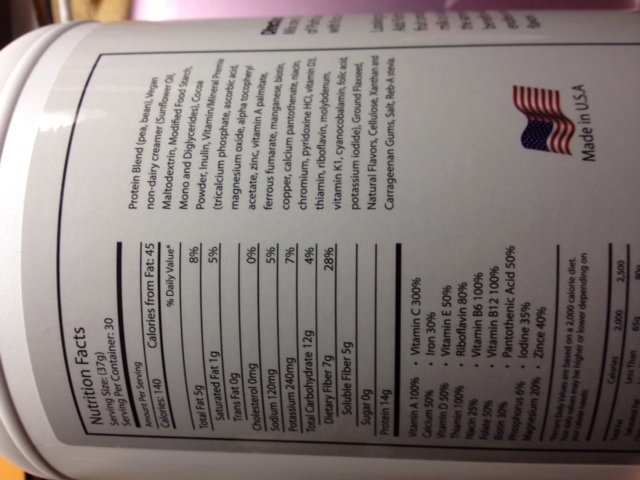 I like that there is 100% of Vitamin C and Zinc per serving, not “1000% percent!” like some supplements may advertise. 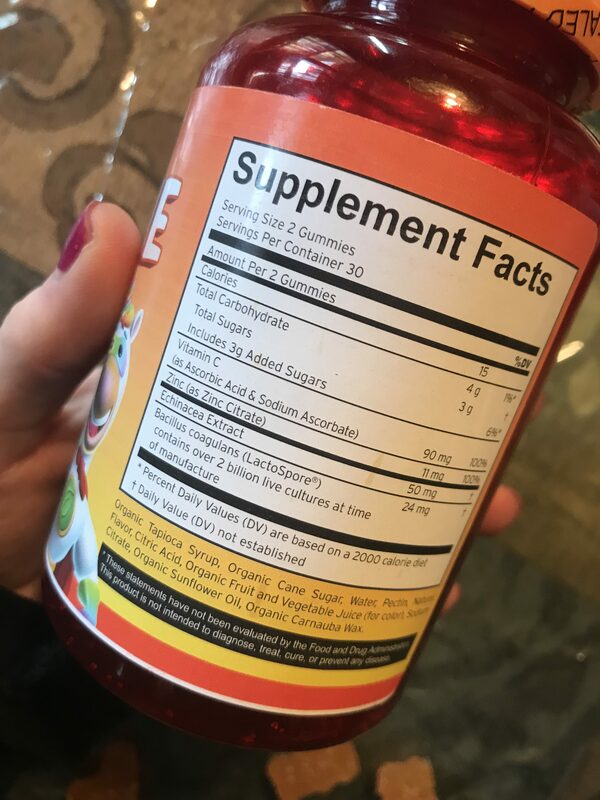 More is not necessarily better when it comes to vitamins and minerals, and even thought Vitamin C is water soluble, we shouldn’t be taking it in excess. Vitamins should also never take place of a healthy, well balanced diet, filled with fruits and vegetables and other anti-oxidants. However, I do think this is a good addition to your child’s diet (or yours! ), especially during cold and flu season. 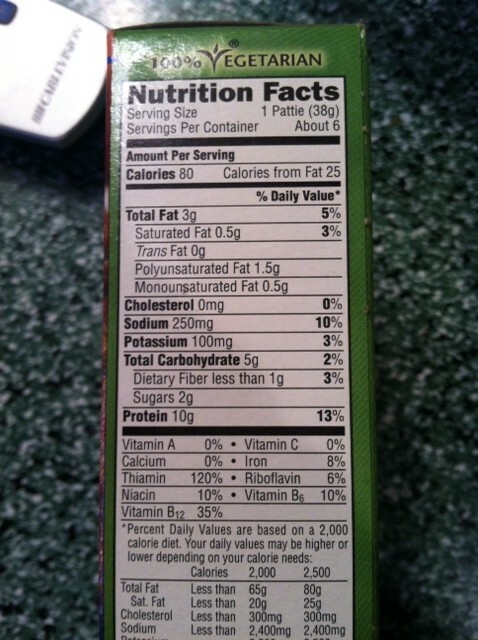 They are 15 calories per serving with 4 grams of sugar. DISCLAIMER: I received these gummies to try for free from the company. This is an unbiased review. This is not medical advice. Consult your doctor/ PA or NP before starting any supplements. 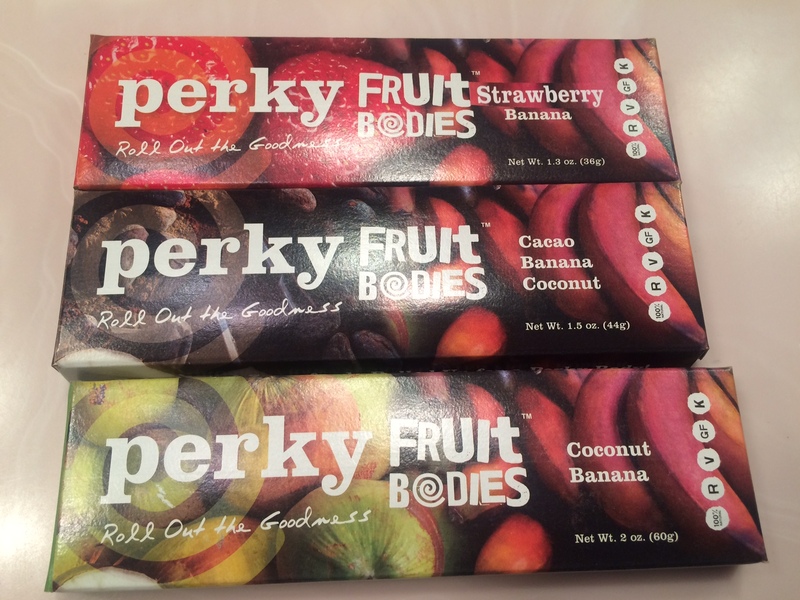 I got some yummy Perky Fruit Bodies to try! What is that, you say? 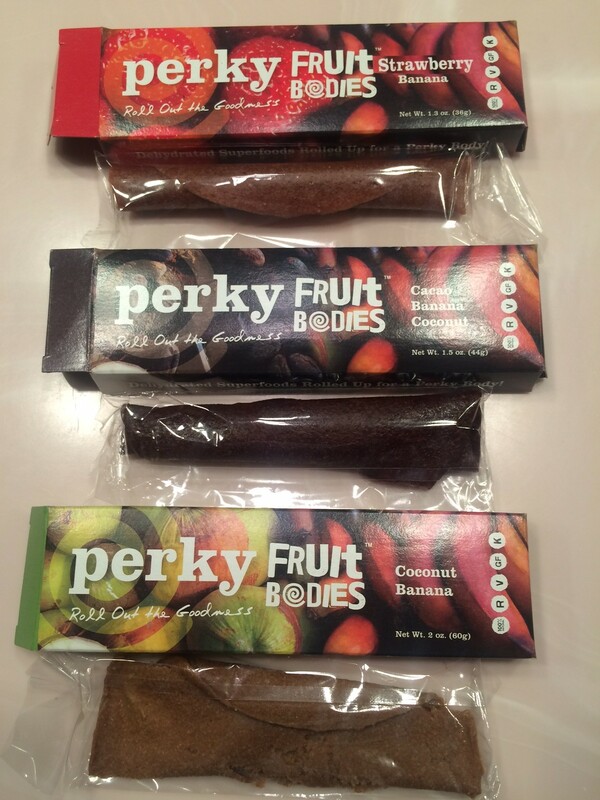 These are organic, raw, vegan, gluten free, and kosher “fruit leathers”. Coconut Banana– this one is squished! 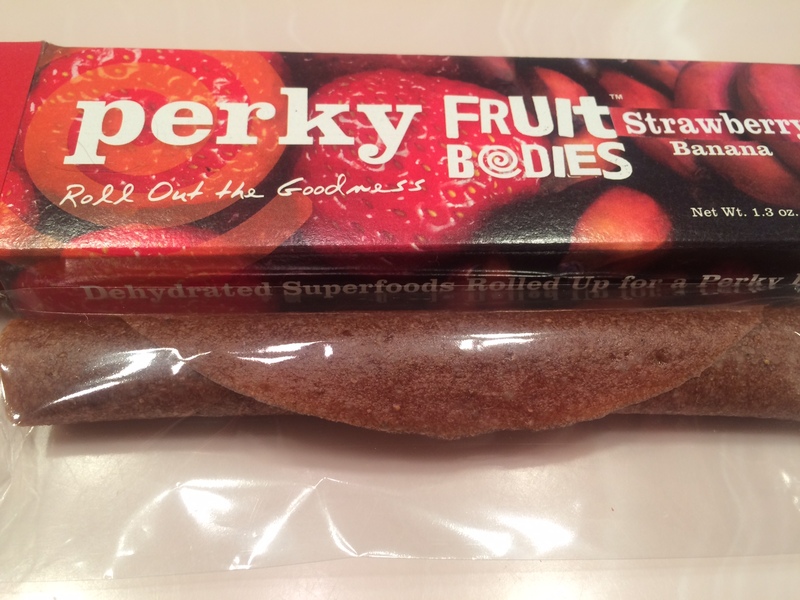 Strawberry Banana– this one is good! Cacao Banana Coconut- this one I also like. Overall, not bad! 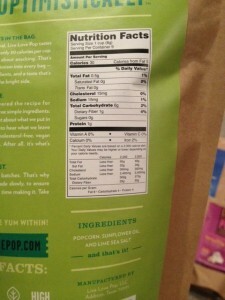 They run 60-130 calories each, ranging from 14-18 carbs and 0-7 grams of fat depending on the flavor. 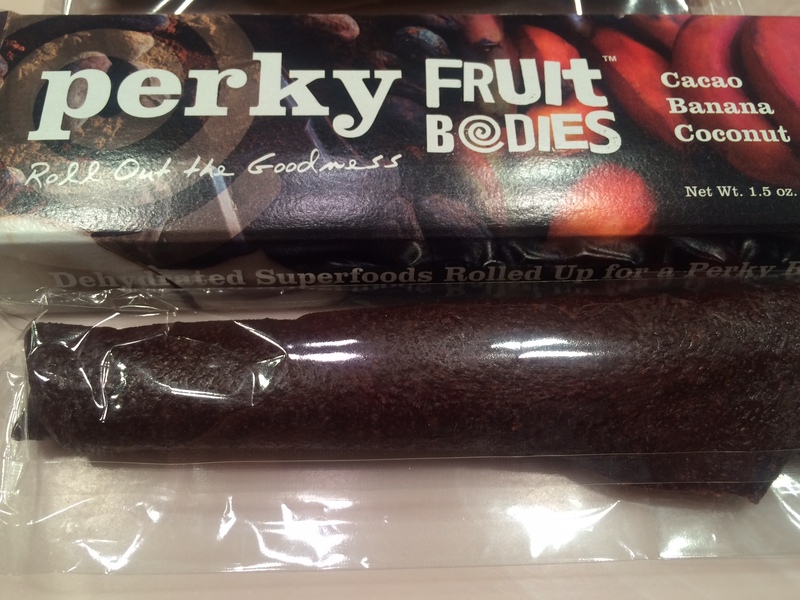 I think they would go great as a pre workout snack, as you are getting a boost of energy from the sugars from the fruits, and they are light enough where they will not make you feel sluggish during a workout. I also like how they are individually wrapped and easy to bring with you on the go. 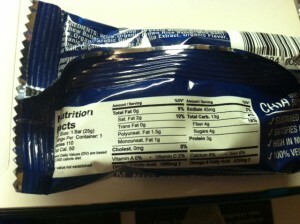 You can view nutritional information below. I received this product to try for free from the company. This is an unbiased review. 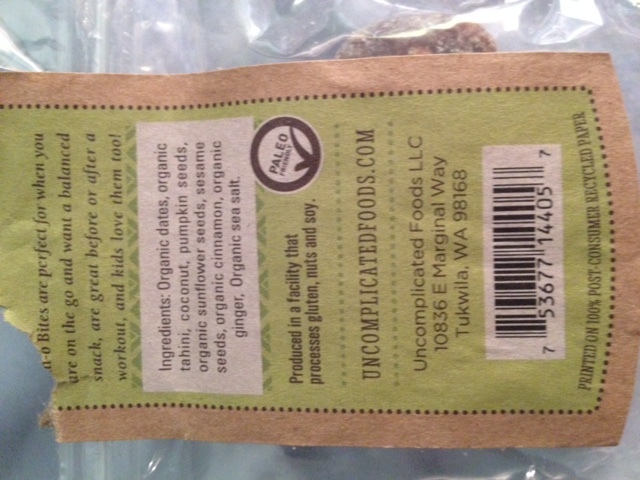 I got some yummy treats from Uncomplicated Foods to try for free called Tali-O Bites! 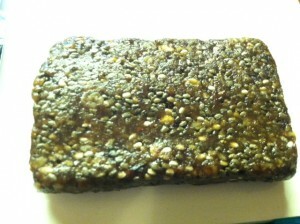 They are these bite sized treats made from organic dates and other flavors, to make for a healthy snack. 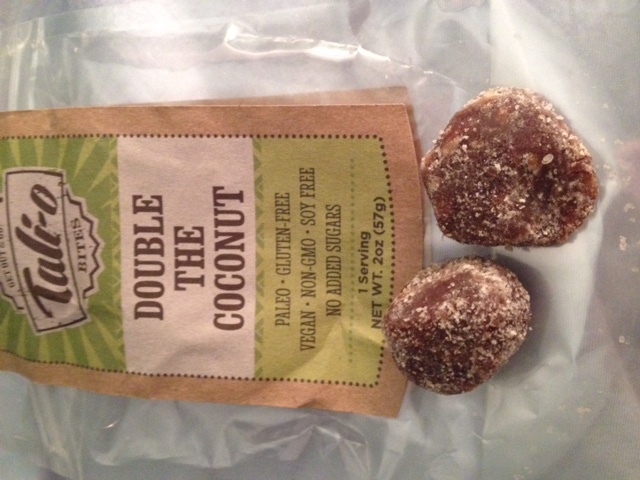 They come in 3 flavors, Powerfully Peanut, A Hint of Almond, and Double the Coconut. 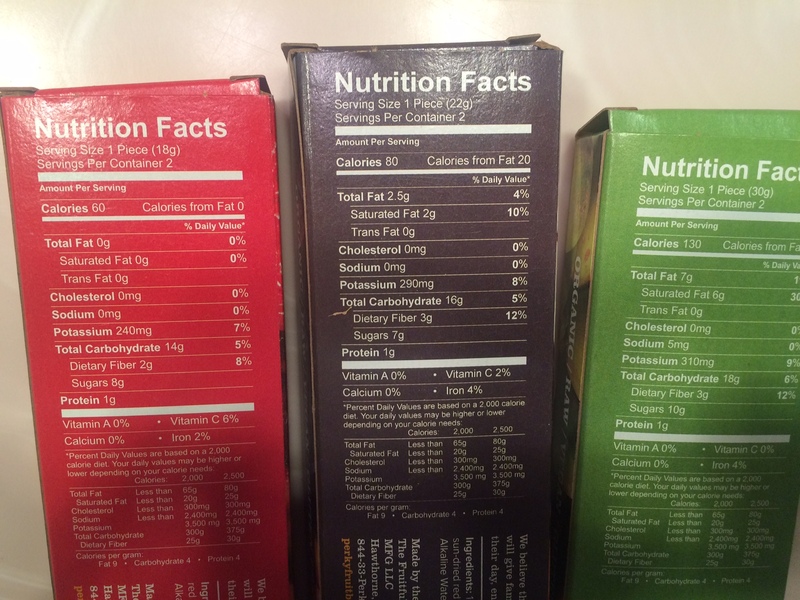 All 3 flavors are gluten free, vegan, non GMO, soy free, and free of added sugars, according to the package. 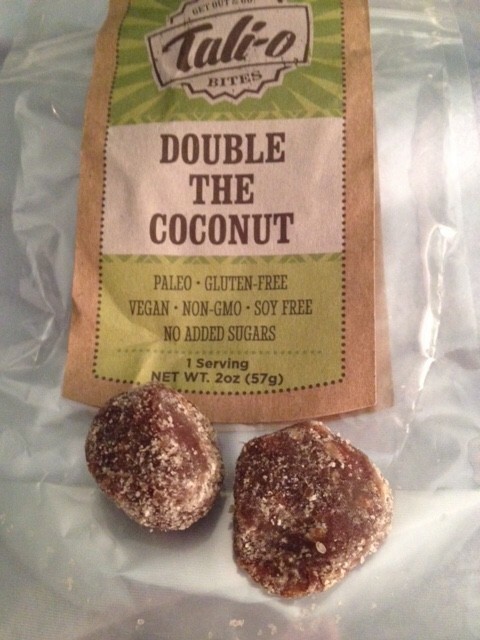 The Double the Coconut and Hint of Almond flavor are also paleo friendly. As you can see, they are tiny! Next up, Hint of Almond. This one was not my favorite of the 3, but it was still good. Almond was not the first thing I thought of when eating these, however. 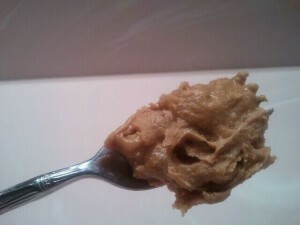 It had a sweet taste to it, but moreso tasted like an almond butter after-taste. It was soft and chewy, and had a rather peculiar flavor that is a bit hard to describe. 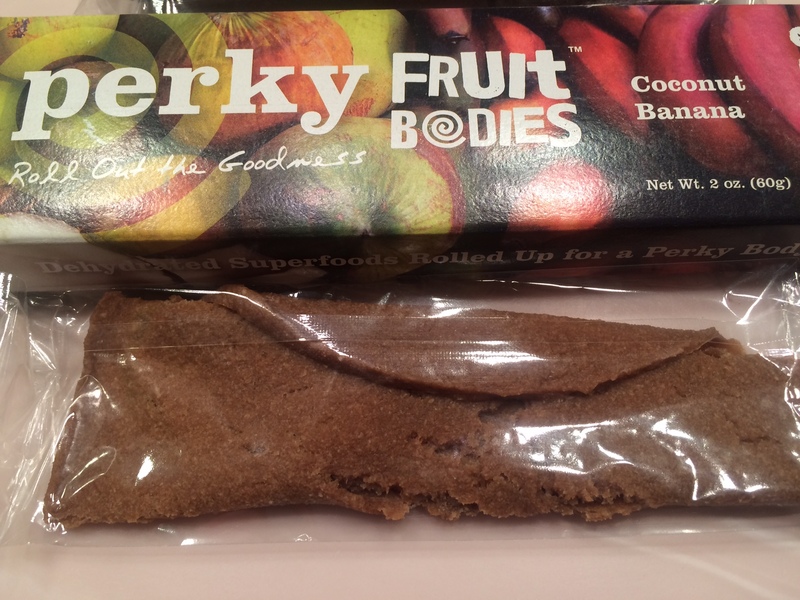 Almost like if you took almond butter and dates and made it into a chew with teeny nut pieces. Overall, 3 stars. Lastly, Powerfully Peanut. This flavor was my favorite! It had a yummy peanut flavor and was mildly sweet. THere was a hint of coconut flavor and almost tasted a little like vanilla. They were soft, dense and chewy. Very good! Definitely want more of these! Overall, these are good! 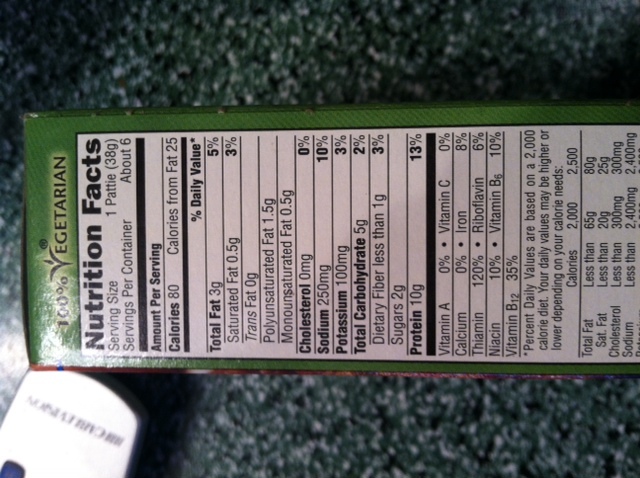 I do not have or know the nutritional facts, but I do have the ingredients for Double The Coconut listed below. Probiotic! What is a probiotic? A probiotic is basically a supplement of millions of healthy bacteria. You can find them in yogurt, for example, or you can take them in a supplement. These bacteria are good for your gut, digestion, and have some immune benefits as well. They are especially important when taking an anti-biotic. Think about the word’s pro and biotic. Biotic means alive/life, and pro would be indicating there is life. Anti would be indicating no life, aka, when taking an antibiotic, your gut gets completely wiped out of both good and bad bacteria. This is not good! 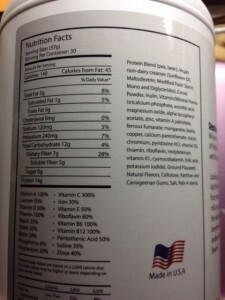 You need healthy/ “good” bacteria to function! 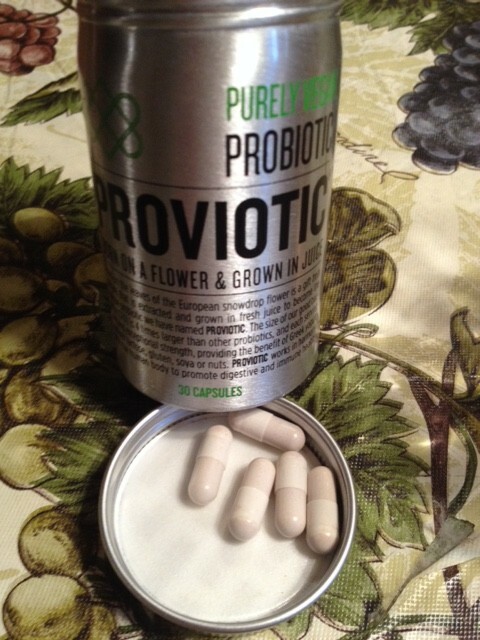 So, now that the mini science lesson is over…Juice Press sent me a Probiotic called Proviotic, and it is entirely vegan. According to the bottle, the good bugs (bacteria) were found in a European snowdrop flower and then grown in juice to be cultured. The bottle also states that “the size of our good bacteria (CFU) is 4 times larger than other probiotics, and each serving contains exceptional strength…without lactose, gluten, soya or nuts”. Now onto the review! Fortunately, the pills weren’t big. They came in this nice tin- I suspect to not allow UV light to come in and degrade the probiotic, but I am not 100% sure. You are instructed to take 2 a day, I assumed (since the serving size is 2 capsules) so for most days (except ones I forgot), I took one with breakfast and one with dinner. On my first dew days of taking it, and occasionally throughout the course of the bottle (roughly 1.5 weeks), I noticed some serious gurgling noises going on in my gut. It was only after I ate whilst taking the probiotic. It didn’t happen for a long period of time, nor was it painful, so I figured maybe it was just helping my gut do it’s job! 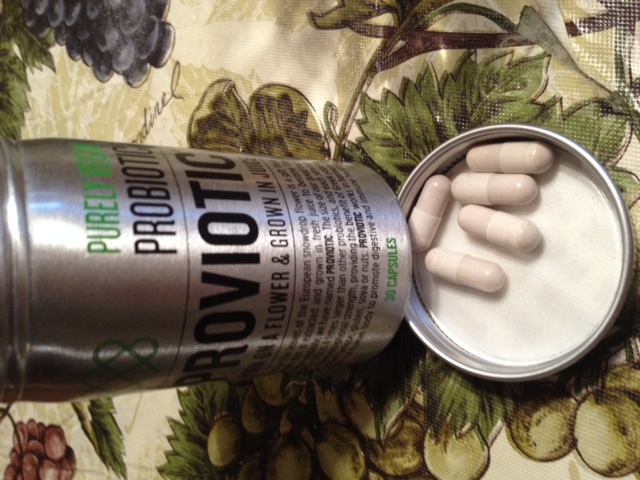 However, what I loved about this probiotic is that I felt WAY less bloated than I usually do. Normally by the end of the day I feel distended, but this probiotic eradicated that completely. I woke up feeling flat and went to bed feeling flat and not puffy, and it was great. However, I forgot to take my probiotic one morning, and I definitely noticed a change in how my stomach and gut felt- puffy! Another thing I noticed was that my acid reflux was reduced. I normally only get indigestion with acidic foods, like coffee, or things like onions. I tend to drink coffee almost daily, despite the stomach upset, due to a tight schedule. While taking the probiotic I noticed it reduced my acid symptoms. I still got a stomachache while taking aspirin (which irritates the stomach lining), but I did not have problems with coffee, so that was nice. Overall, a great product. However, there are only 30 capsules in a bottle, so the bottle goes quickly, and according to the website it is priced at $40.00 per bottle. I received mine to try for free from the company, but if I did not, I certainly don’t think I could budget $80 a month for a probiotic, even though it works awesome. So if you have the budgeting room, definitely give it a try! It is certainly one of the best probiotics I have every tried (I used to be on some other ones a few years ago), and I noticed the best results with this one, it is unfortunately just too expensive for me personally. So, with that in mind, this product shall get 4.5 stars. Popcorn is by far my favorite snack (this post is still not biased!!). 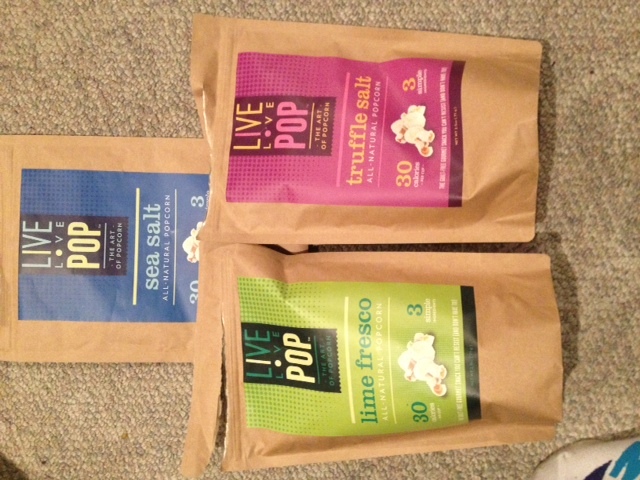 I was sent 3 flavors of a brand of popcorn I have never heard of, or even seen in stores, for free. 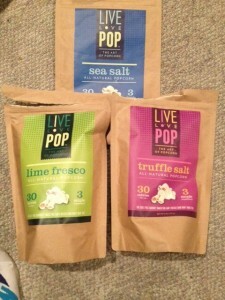 Live Love POP sent me Lime Fresco, Sea Salt, and Truffle Salt popcorn, all made with minimal ingredients, and waist line friendly (30 calories per cup!). 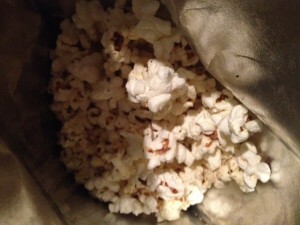 The popcorn comes in brown bags that were both easy to open and close to stay fresh. I like that it had a nice sturdy bag, but also a natural feel, and had a zipper built in the bag. My number one pet peeve with snacks is that the cheap plastic breaks and then you have a bag ripped down the middle, thus, either snacks all over the floor from improper opening or stale snacks. BOOO! This review is LONG overdue! 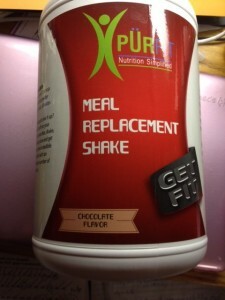 I got a free bottle of PurFIT Chocolate Meal Replacement Shake powder about a month ago. I had it sent to the wrong address (my “other home”…yea, I have two homes, you Jelly?) had to wait for it to ship to my current address, then when it got to my current address it was waiting in the mailbox and I didn’t know about it. So- some info on this product. 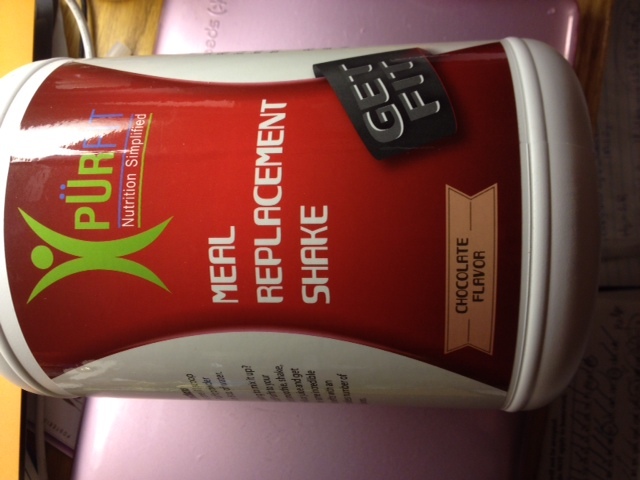 It is intended to be a meal replacement, and you are advised to mix 1 scoop that they provide with 8 oz of water. The protein comes predominantly from pea and bean, and appears to be vegetarian/vegan friendly (I will post ingredients at the bottom). I think the calories are a *bit* low for a meal, even if someone is restricting calories, at 140 calories/ 14 grams protein per scoop, especially if paired with water. However, I could use this as a lean shake for a snack, or I also plan on trying chocolate protein bars since it is NOT made with Whey and I don’t have to worry about a rubbery consistency with baking it. First off, round of applause for PurFIT because this scoop was RIGHT on top. 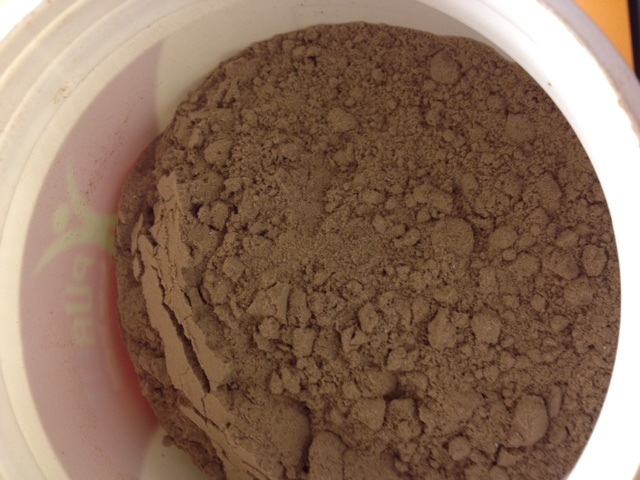 Honestly…what is worse than having to dig through a giant tub of protein powder to get a scoop off the bottom? Literally powder… E.V.E.R.Y.W.H.E.R.E. So, I put a scoop in a cup of water, and gave it a mix. It blended really easily, especially since I didn’t have my shaker cup with the little metal ball. I SWEAR I keep buying them and someone keeps permanently borrowing them…ahem…but whatever. It made a relatively thick liquid, even mixed with water, which was a pleasant surprise. wasn’t so sure what to expect for sweetness with this product, seeing as it has no sugar. I took a sip…and I actually really like it! It had a deep chocolatey flavor, rich, and really creamy. I was surprised it was so creamy bc I used WATER! Usually I hate shakes unless paired with milk…but it said water, and I was conveniently out of both milk and almond milk. 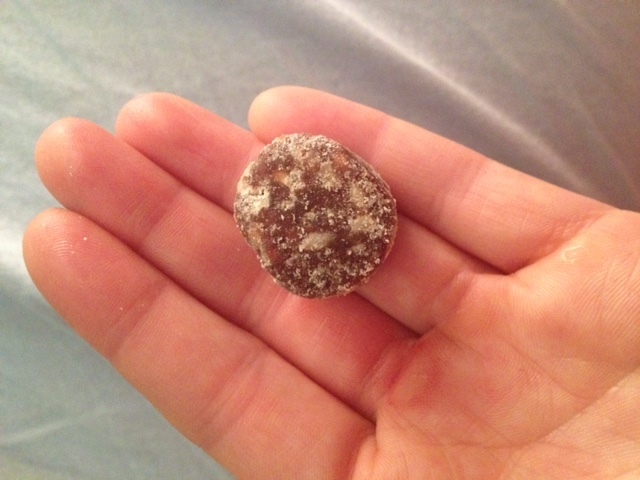 It has a mild sweetness, like milk chocolate. I think it would taste phenomenal with peanut butter in a shake with ice and water or milk/almond milk. I really like that this protein powder has 7 grams of fiber too, to help tide down hunger, especially if this IS used as a meal replacement. Overall, I like it! I would drink this again. I may use 2 scoops if it is for a meal, as I am extremely active (heavy lifting 6x a week and some cardio), and I need a bit more calories. 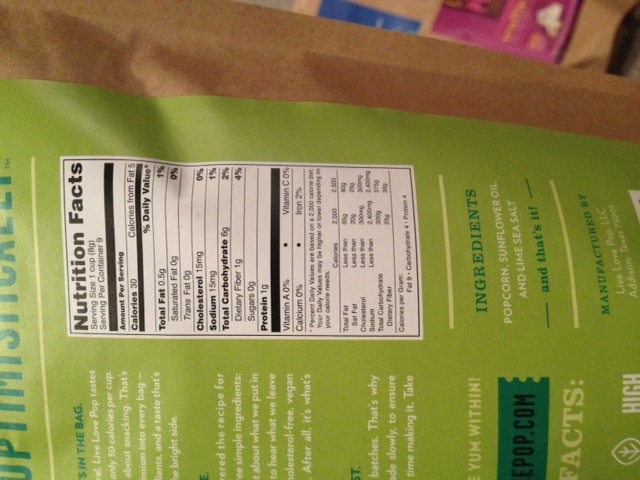 It’s a tad high in fat for me, 5g per serving, but I see that flaxseed is in the ingredients, which is a good source of fat. I also get why it has a bit of fat in it, since it is INTENDED for a meal…thus fat is needed for satiety. The creaminess is spot on, and I am curious to try this with baking. I will update you guys as necessary! Overall, 4 stars. 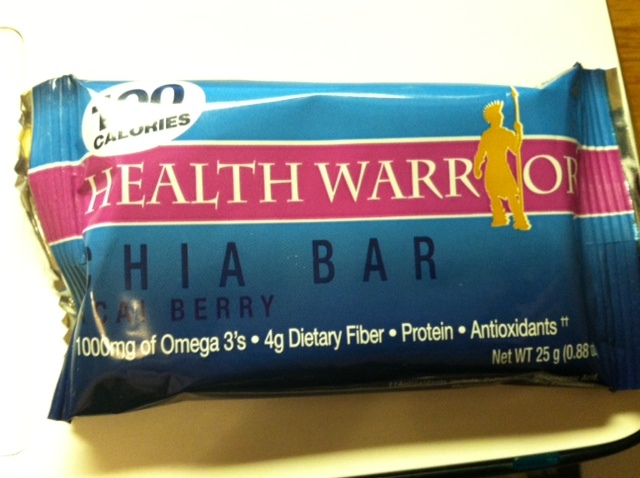 I got some new, free bars from Health Warrior. 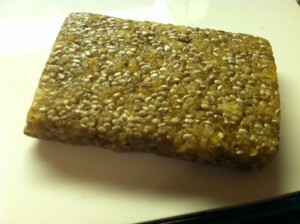 Their Chia Bars! All of the bars are vegan, a good source of omegas, and have 100-110 calories. 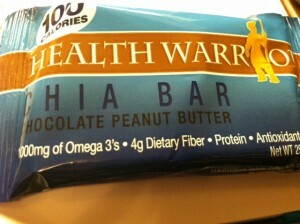 The first bar I tried was the Chocolate Peanut Butter. LOADED with seeds, this one had a crunchy texture. It was a bit bland, with very mild chocolate flavor. 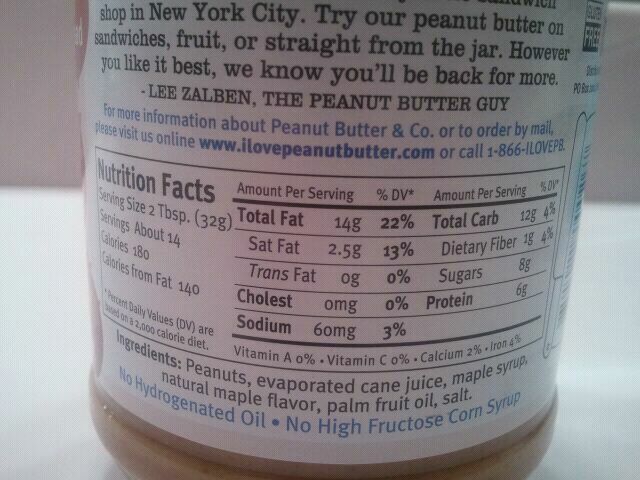 I didn’t detect too much peanut butter flavor as well. It wasn’t really all that sweet, but for some reason, I kind of liked it. It was nutty, and tasted very real and unprocessed. Was it amazing tasting and my favorite thing ever? No. But I liked the wholesome-ness it provided. 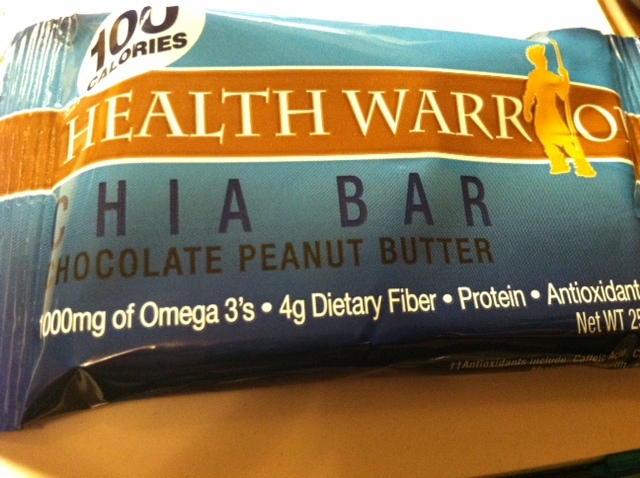 However, kindof misleading for the fact I hardly tasted any chocolate or peanut butter flavor. (sad for a pb lover like me!) 2 1/2 stars. Next up, the the Acai Berry. The softest bar of the three, and very good. 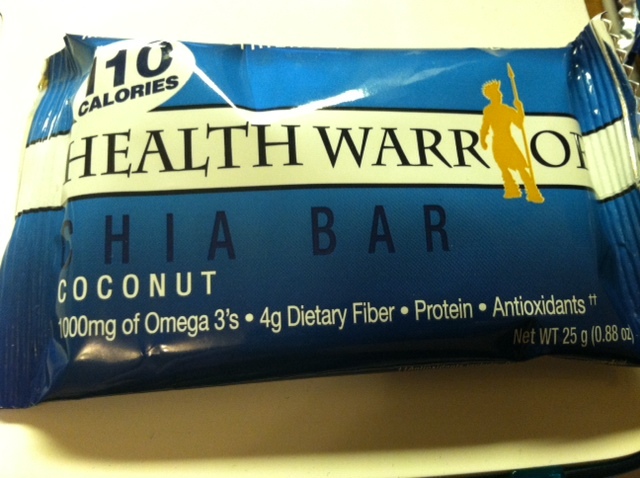 Yummy coconut flavor, but none of those annoying coconut shreds (sorry…I had those haha). A mild crunch, and good flavor. 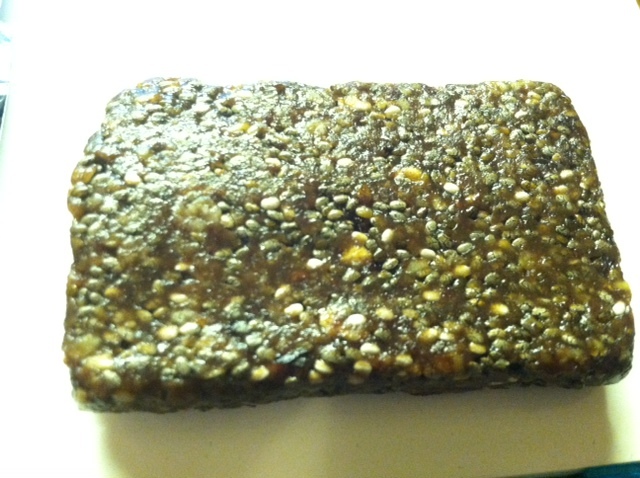 It was moist and chewy, and definitely tasted coconut, without it feeling artificial or overpowering. It also had a subtle sweetness, which I enjoyed. I liked this one as well! 3 1/2 stars. Overall, not bad! I liked the Acai Berry one the best, and I think these are a good snack bar for in-between meals! 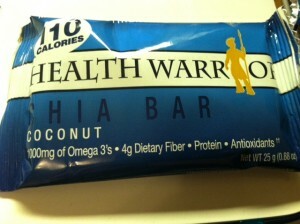 Thanks Health Warrior for letting me try these new bars! NOW, when it comes to protein, I think closest to nature is best. Chicken breast, eggs, turkey, things like that. However, a nice switch up every now and then is definitely called for and satisfies a craving. Today’s find? 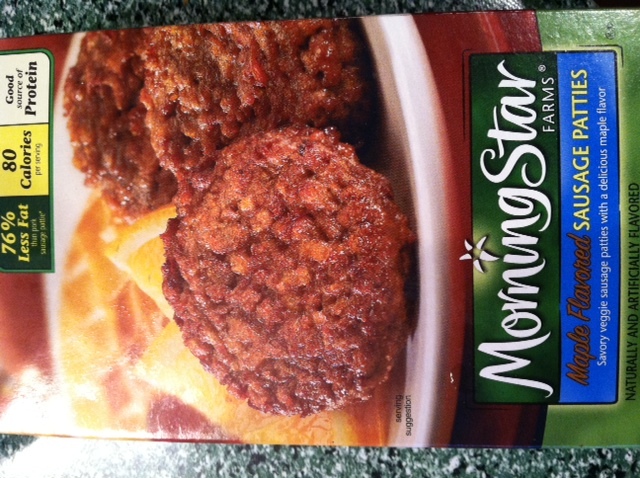 These vegetarian Morning Star Farms Maple Flavored Sausage Patties! I’ll admit the ingredients aren’t perfect as I’d like them to be, but the nutritional facts pack a nice punch to make up for it. 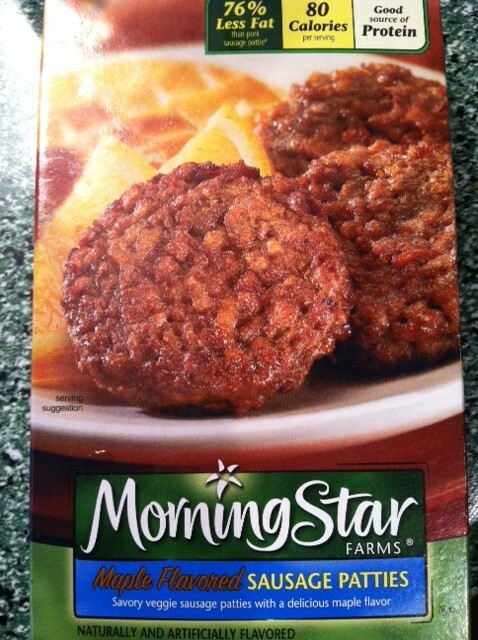 80 calories a patty and 10 grams of protein- that I like! I cooked these up in a skillet with some non cook spray. I also added a wee but of SF Maple Syrup for fun. They ended up cooking soft on the inside, and nice and crispy on the outside. What’s your favorite protein-filled food? Mine is ground turkey (lean of course!). 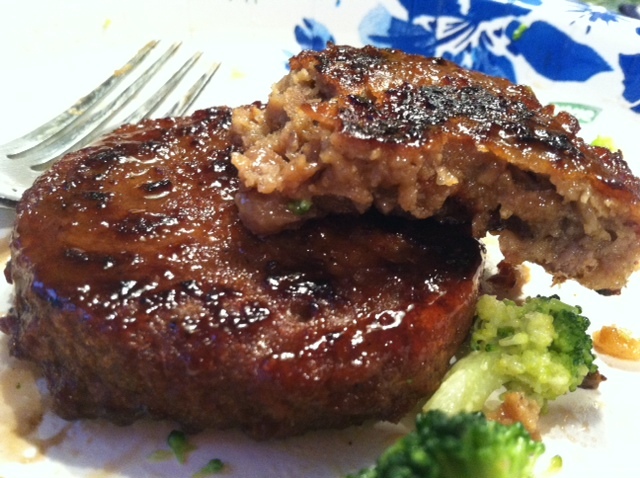 Perfect for burgers and meatloaf! SIDENOTE: How cute is that monkey?! With a barbell! 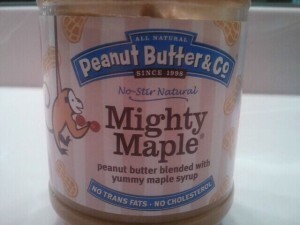 The peanut butter has a mild sweetness, but I can definitely taste both the maple and the peanut butter. It has a roasted peanut taste, and then a hint of maple flavor. Not too salty or too sweet, but just right. I ate this directly from the jar, like most of my nut butters, and I can’t get enough of it. This isn’t my first jar, and it will not be my last. One thing different from other peanut butters is I can “taste” and detect the granules- like a very mild grittiness to the peanut butter. Not like sand, or like anything that would ruin the peanut butter, but it is not 100% smooth. Overall, delicious and addictive. A made a significant dent in my jar the first night. I’m too ashamed to show you the picture and I also don’t want to think about possibly eating 3-4 servings in one sitting, so I’m going to pretend it never happened. (*What peanut butter?? *) I get remarks all the time about how fast I can finish a jar of peanut butter, and quite frankly, it doesn’t bother me a bit. Heart healthy fats, protein, and hey, I can think of worse things to inhale on a 2-3 day basis (sad, yet true. 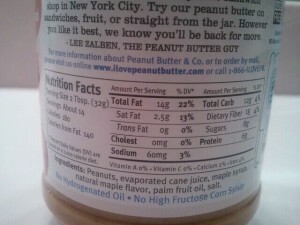 Shelf life of a jar of peanut butter in my house is 3 days tops). What’s your favorite flavor/variety from Peanut Butter & Co. if you have tried it? Mine is this one here. 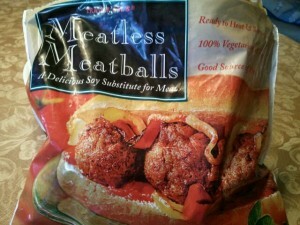 Last week I had a dinner of some pasta with this yummy sauce and some of these Meatless Meatballs from Trader Joe’s. 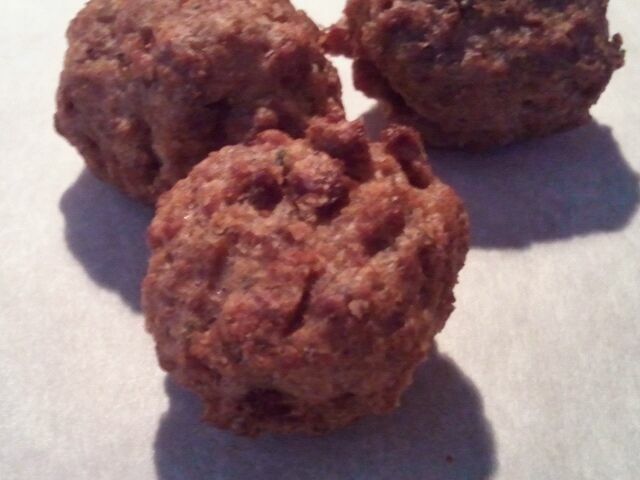 These meatless meatballs are vegan and vegetarian. I cooked them in the oven first and then ended up transferring them to the sauce to let them simmer. 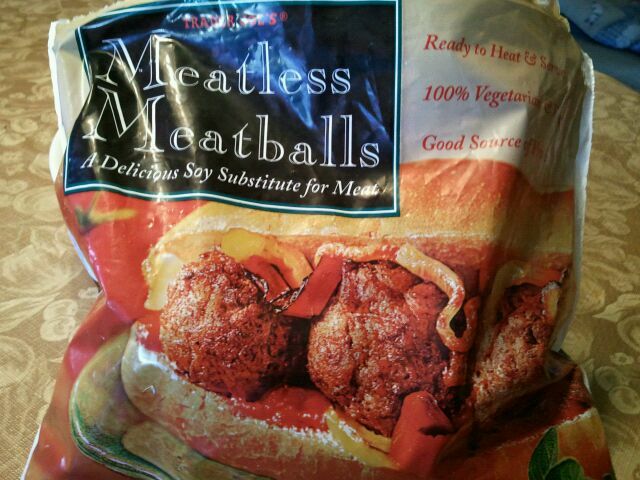 6 Meatless Meatballs are 140 calories, 6 grams of fat, 8 grams of carbohydrates, 4 grams of fiber, 1 gram of sugar and 16 grams of protein. Whats your favorite vegetarian style product? I also REALLY like this Smart Bacon from LightLife!